Migraine and Dementia: Is There a Link Between Migraines and Dementia? Is There a Link Between Migraines and Dementia? A great deal of research is looking into illnesses that affect the brain. While much is still unknown, progress is being made. Scientists are looking to see if relationships exist among these conditions that affect the brain, as well as what increases and decreases the chances of illnesses occurring. 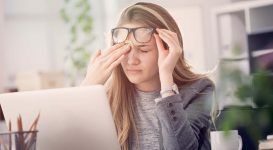 If you have migraines, you may wonder if the terrible pain you suffer from predisposes you to other illness that may affect your brain, like dementia. 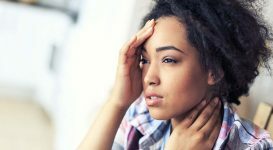 A few years ago people became concerned when it was discovered that people who had migraine headaches accompanied by auras sometimes developed patches of white matter within their brains. It turned out that in the vast majority of cases, the lesions were completely harmless. 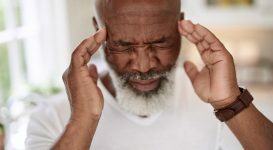 Current research shows that people who have migraine headaches, regardless of whether or not they experience auras, are no more likely than anyone else to develop Alzheimer’s disease or any other form of dementia. However, the researchers did determine that migraines do increase a sufferer’s chances of having a stroke. They concluded that smokers who have migraines, especially headaches which are accompanied by auras, need to stop smoking in order to lower their stroke risks. 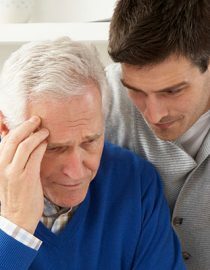 Researchers also evaluated the presence of headaches among people who were afflicted with dementia. They determined that people who had dementia were more likely to experience stress headaches more commonly than any other kind of headache. Stress headaches are the most frequently experienced type of headache among people who do not have dementia too. Although having migraines doesn’t make you more likely to develop a form of dementia, it’s prudent to take steps to protect yourself nonetheless. Consider the following. 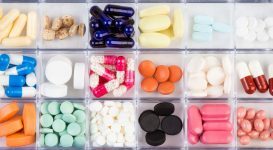 A research study was conducted to see if a link exists between vitamin D and the development of Alzheimer’s disease and other forms of dementia. 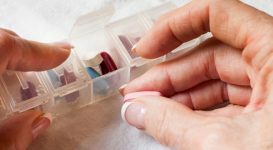 The researchers discovered that individuals who had low levels of vitamin D their bloodstreams were more likely to develop dementia than people who had normal levels of vitamin D.
Occurrences of Alzheimer’s disease and other kinds of dementia, including vascular dementia, were elevated among individuals with low levels of vitamin D. The researchers did not determine if vitamin D supplementation reduced the likelihood of dementia, stating that further research was needed before recommendations regarding vitamin D supplementation for the prevention of cognitive impairments could be made. Next page: eating right and future research.